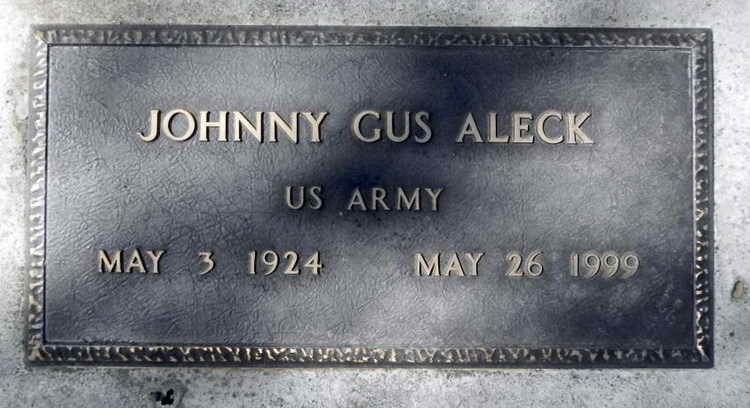 Grave marker for Johnny G. Aleck in the Old Oroville Cemetery, Oroville (Butte county), California. Johnny enlisted in the Army at the Veterans Memorial Hall, in Oroville, CA. on 30 November 1942. 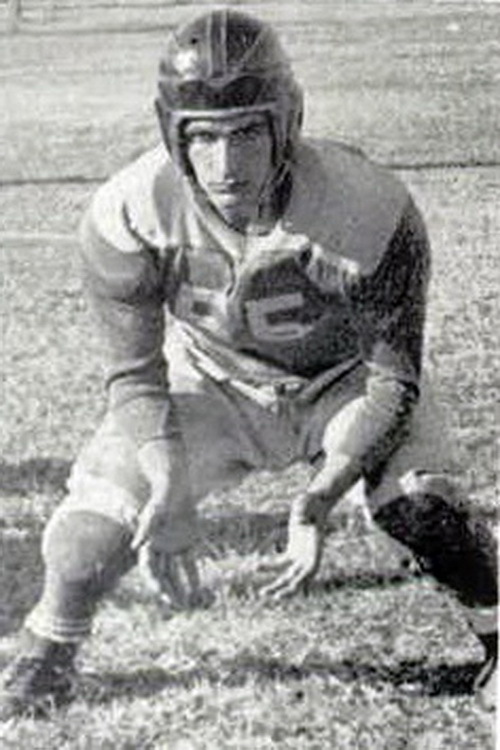 He was inducted on 9 January 1943 while in the midst of his senior year of high school where he had been a member of the Oroville Tigers football team. The Oroville High School yearbook, aptly named "The Nugget," was filled with patriotic themes noting that they were gradating "in the middle of a great war" and sadly noted two young men of earlier graduating classes that had already become casualties. Johnny was assigned the dangerous job as a parachutist and after a few quick battalion changes Private Aleck was permanently assigned to the elite HHC 509th PIB which stands for Headquarters, Headquarters Parachute Infantry Battalion. Aleck was given the job as a radio operator which he believed was due to his bilingual skills of being fluent in the Greek language having been born to Greek immigrant parents. T5 Aleck was transferred to Hq 2nd Bn, 508th PIR on 1 March 1945 when the 509th PIB disbanded due to having lost so many men in the Battle of the Bulge. 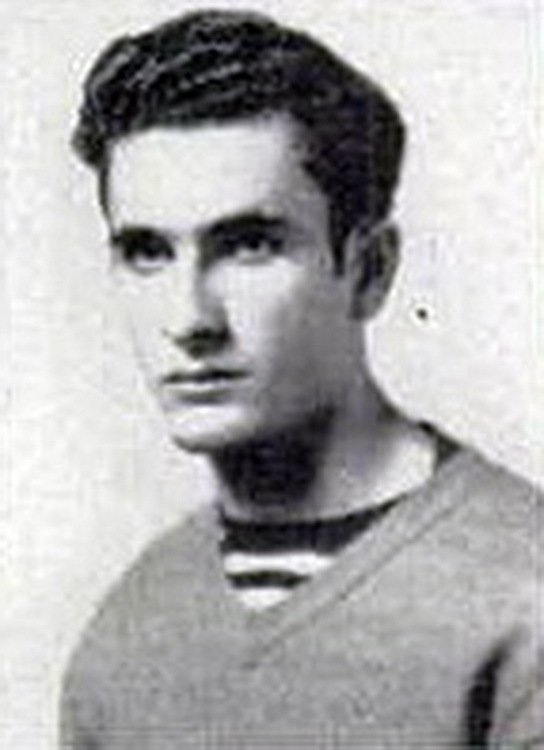 In June Aleck received his Sergeant stripes, and on 30 June 1945 married his French beauty, Monique. While in the 508th PIR he served in the Honor Guard in Frankfurt, Germany protecting General Dwight D. Eisenhower. Sgt. 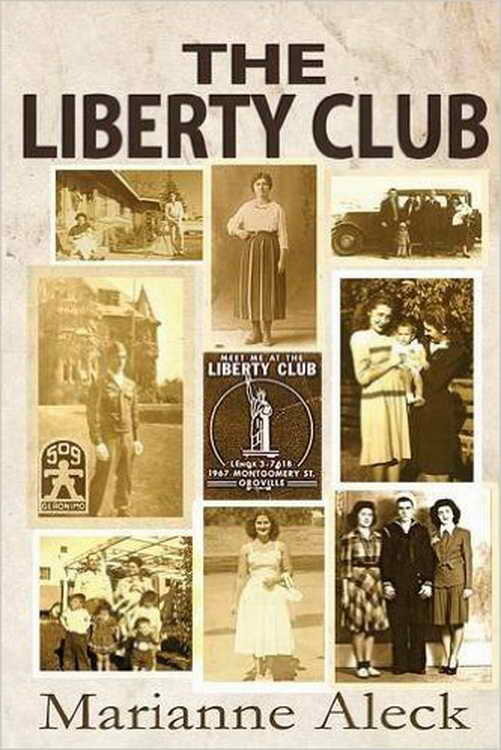 Aleck left for America from France in late October and arrived in N.Y. on 10 November 1945. He was discharged on 12 November 1945 at Camp Beale, CA. His military decorations include the Combat Infantryman Badge, Parachutist Badge with one combat jump star, EAME Campaign Medal with arrowhead device and six bronze star devices, WWII Victory Medal, 3rd Zouave Regiment Badge, Good Conduct Medal, Belgian Fourragére, Distinguished Unit Badge w/2 OLC, Army Discharge Lapel Button issued Sep 1945 and four Overseas Service Bars.